A rose by any other name, would smell as sweet, but would still need proper care and maintenance. This book will show you how. A beautiful bed of roses can be a gardener’s pride and joy. Roses are generally reasonably healthy plants, and they live a long time if their health is maintained. Roses are grown in both Singapore and the cold north of Canada and Europe; but the techniques used are different from one climate to another. The selection of disease resistant species and good cultural practices are essential to grow roses in extremes of humidity and cold. 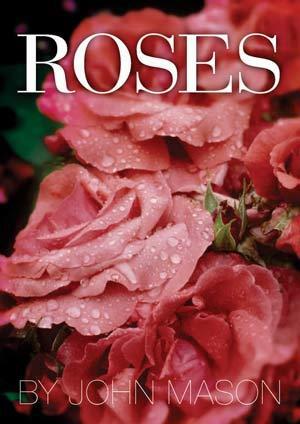 "I pruned my first rose during the winter of 1969, while in first year of my horticulture diploma at Burnley Horticultural College in Melbourne, Australia. In 1985 I visited Singapore Botanic Gardens and was surprised to see roses flowering well at sea level close to the equator. While working as a Parks Director in 1975, I discussed roses with a Polish engineer at the council, who described how the roses he grew in Poland could be covered with a metre of snow in winter; but still emerged in the spring, provided he treated them right. When I moved to Queensland in sub-tropical Queensland in 1992 I began growing roses in a hotter, humid climate; and was amazed (after some hints from my friend Colin Campbell), to discover you can get rose flowers 12 months of the year on the Gold Coast." - John Mason Author. To improve blooms and shape - prune!